mount vernon – Design Your Lifestyle. You can daydream about seeing the spring cherry blossoms in Washington, DC – but there’s nothing quite like seeing them in person. Washington, DC, is a remarkable place to visit any time of year. Springtime in America’s capital, however, is particularly gorgeous. Pops of white and pink dot the landscape of Washington in March and early April, adding a sense of renewal and wonder to the landscape. Springtime in Washington, DC; cherry blossoms in America’s capital. Peak bloom time for cherry blossoms in the Washington, DC, area is generally late March into the first week of April. 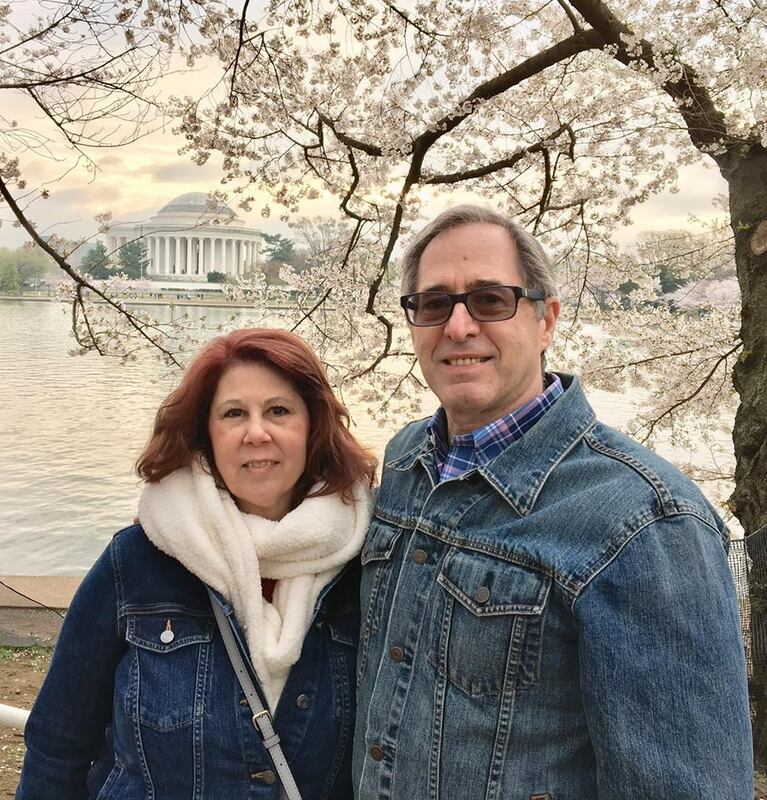 Tracy and Peter Salerno (of Peter Salerno Inc.) chose the first weekend in April 2019 to enjoy the occasion, and the resulting photos of the cherry blossoms, U.S. Capitol building, and Mount Vernon (among others) are just a taste of the beauty the Salernos experienced. Cherry blossom season in Washington, DC, has become a bona fide event in the city, with the annual Cherry Blossom Festival drawing 1.5 million visitors over a 4 week span. 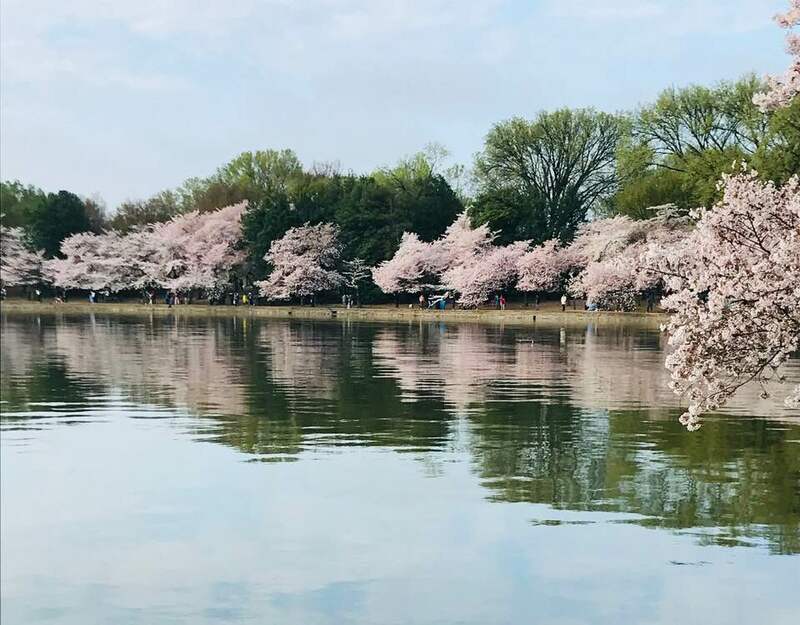 There’s even an official Cherry Blossom Watch online for you to check the bloom season, upload and share cherry blossom photos, and plan your spring trip to Washington, DC. A gorgeous view of cherry blossoms along the Potomac River in spring. The tradition of cherry blossoms in Washington, DC, dates back to 1912 and a partnership between Japan and the United States. The first cherry trees were planted on March 27, 1912, in West Potomac Park. The first official Cherry Blossom Festival was held in 1934, and the tradition has (quite literally) blossomed into the most beautiful annual spring event in the United States. Whether it’s the mythical story of George Washington chopping down the cherry tree, the trees’ symbolism of America’s relationship with Japan, or simply the beauty of white and pink blossoms dotting America’s capital, the draw of the National Cherry Blossom Festival cannot be overstated. Cherry blossoms in front of the Washington Monument. 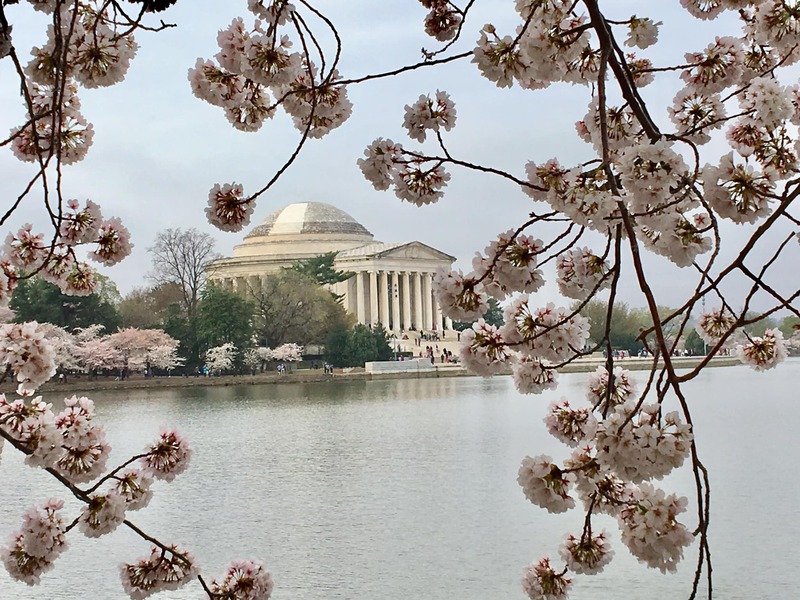 Tracy and Peter Salerno’s visit to Washington, DC, featured a sunrise cherry blossom photography session around the U.S. Capitol, Jefferson Memorial, Lincoln Memorial and Washington Monument. 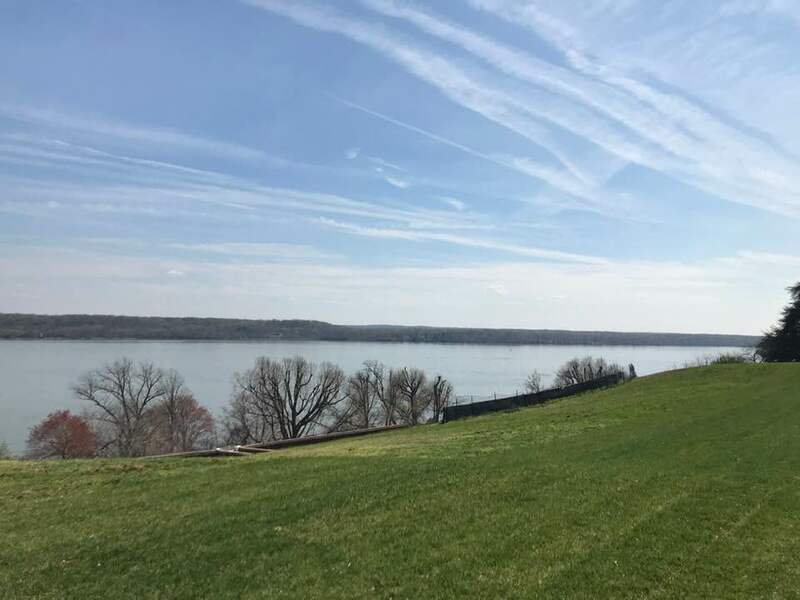 The Salernos also took a day trip to Mount Vernon, which offered a glance back into American history and gorgeous views of the Potomac River. 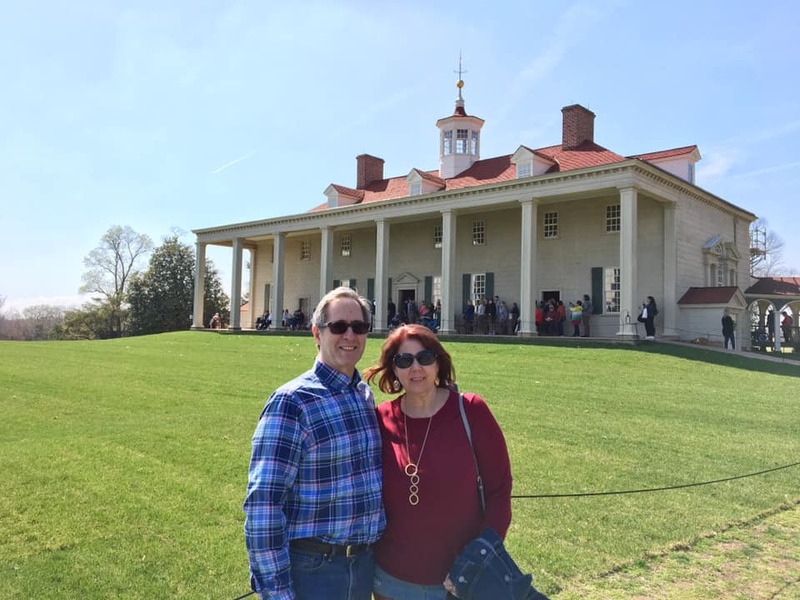 Tracy and Peter Salerno at Mount Vernon in spring. The bank of the Potomac River at Mount Vernon. 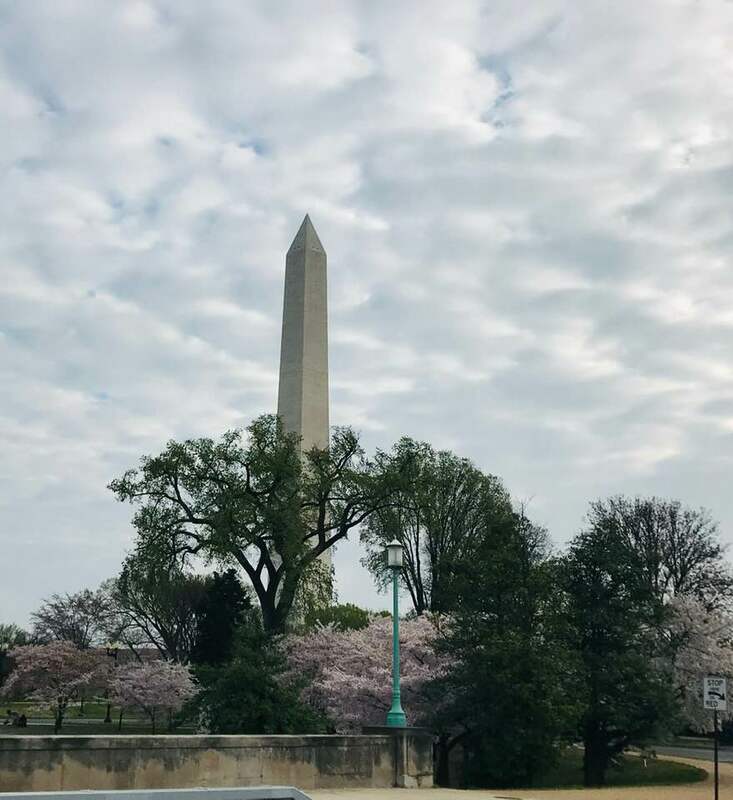 If you truly want the prime Washington cherry blossom experience, it’s important to keep track of peak bloom times on an annual basis. While the National Cherry Blossom Festival takes place for 4 weeks, the peak bloom time is a much shorter window. Make sure to consult Cherry Blossom Watch for all the yearly details, and take advantage of an early morning (or two) to get the best photo opportunities of these gorgeous blossoms in the light of sunrise. We promise you will leave Washington, DC, feeling inspired and fresh – and ready to create vivid design masterpieces of your very own. Tracy and Peter Salerno in Washington, DC, during the National Cherry Blossom Festival.